…You never know what you’re gonna get. 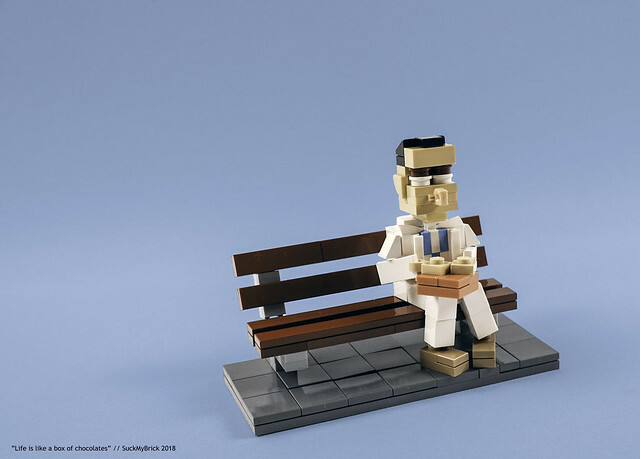 Builder SuckMyBrick is back with a tribute to a Tom Hanks and Robert Zemeckis classic, the quirky but brilliant Forrest Gump. Fun fact, before switching to the wine industry Mrs BrickNerd worked for See’s Candies for years. She could identify every single piece by appearance alone. So much for that little colloquialism.